Focused around outdoor living and designed for absolute relaxation, this 3rd row beach house boasts vibrant colors and beachy decor to remind you that island living is always in season. 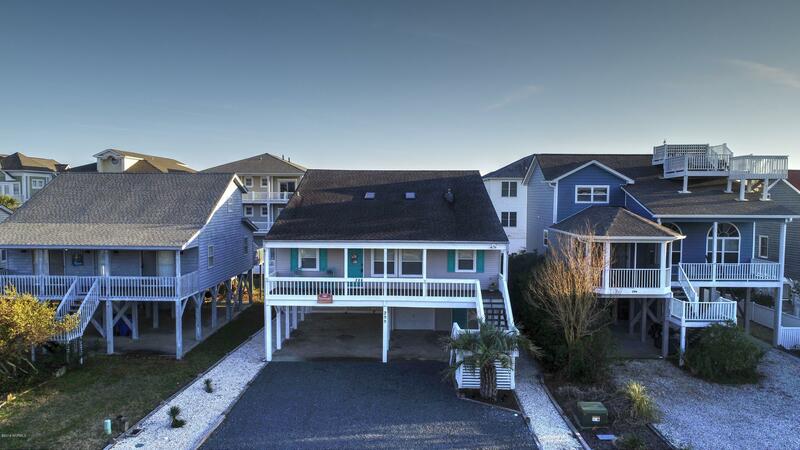 Enjoy marsh views from the front porch and ocean views from your rooftop deck. The comfortable sun-filled living room features 2 skylights and extends into the dining area. The dining table seats 6 with extra seating at the breakfast bar. The kitchen features ceramic tile backsplash, and numerous cabinets to maximize storage. Four generously sized bedrooms each share a bath. A spiral staircase leads to a loft currently used as a 5th bedroom w/half bath and could easily be converted to a family room or den. This room leads to a large rooftop deck with captivating ocean views.